Oklahoma & Kansas Insect Experts-Contact Advanced Pest Solution for your local pest control. Home of the Roach Reaper –We specialize in terminating German Cockroaches! Which rooms have the most activity? When are the roaches most active? How many roaches have you seen, and how big are they? The answers to these three simple questions will indicate the stage of infestation, which allows us to determine the appropriate treatment level to use. The APS Roach Reaper Program is an Integrated Pest Management (IPM) regimen that employs both chemical and non-chemical applications. These treatments compliment one another perfectly to terminate roaches. German Roaches are known carriers for diseases like salmonella. German Roaches are cannibalistic omnivores who will consume anything including each other and other roaches’ waste products. They also eat random substances like toothpaste, soap, or wallpaper glue. 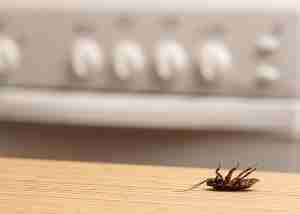 Cutting off a roach’s head will not kill it right away. In fact, it may live for another week, and it only dies because it has no mouth for eating and drinking. Cockroaches can hold their breath for up to 40 minutes, making them hard to kill by drowning or smothering. A cockroach can run at speeds up to 3 miles per hour. At just one day old, a newborn cockroach runs almost as fast as an adult roach, but it is no bigger than a dust speck. A roach cannot survive more than a week without water, but this cold-blooded insect is able to go a month without food before perishing. The German Cockroach egg case, which entomologists call an “oothica”, can hold as many as 45 eggs. German Cockroaches need only small amounts of food to survive. Do not let trash accumulate in your home. Use smaller bags and make more frequent trips to the dumpster. Clean your trash receptacles regularly. Remove any food particles from the sink strainer, and use the garbage disposal frequently. Do not leave food residue on dishes or allow dirty dishes to sit unwashed for lengthy periods. Keep kitchen appliances including ovens, toasters, microwaves, ranges and refrigerators clean. Do not let grease or food accumulate in them. Do not leave any food (animal or human) out to entice pests. Pick up your pet’s food dishes when not in use, and clean up scattered pet food. Be sure to sweep or vacuum floors regularly to remove crumbs and particles. Keep your kitchen cabinets free of crumbs and food scraps. Roaches are attracted to toothpaste, so keep your toothbrushes and toothpaste tubes in sealed containers. Throw away old used toothbrushes as well. 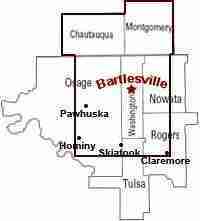 Oklahoma & Kansas Insect Experts-Advanced Pest Solution-Contact us today to help with your pest problem. Bed Bugs may be found in places like homes, hotels, theaters, restaurants, etc. but are being seen more often in apartments, hotels, homes, shelters, dorms, and nursing homes; anywhere that provides space for multiple people to stay. Not sure where they came from? You don’t necessarily have to stay at a hotel to bring them home. 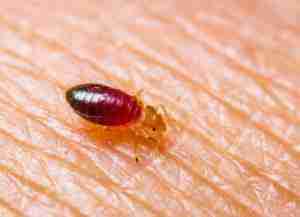 Bed bugs can easily be transported through clothing, furniture, bedding, suitcases, boxes or even hair. Bed bug infestations are not caused by poor sanitary conditions. A single bedbug can easily hitch a ride without being noticed. That one small insect can quickly develop, if conditions are right, in as fast as a month. they are able to produce three or four generations per year. so as you can see, failure to detect an infestation early can make the bed bug problem worse over time. Recognizing the signs of bed bugs and taking immediate steps to reduce their population can greatly lessen the risk of a severe infestation. Even though bed bugs can be found anywhere in your home, they usually prefer the bedroom. They hide in cracks and crevices during the day so you may not notice them right away. Bed bugs can hide pretty much anywhere. Even though they do not have a nest, they do tend to hide in groups. Below are some common places where you may find them. Inside books, phones, radios, etc. Ants are very common in Oklahoma because of our weather patterns. In fact, they seem to thrive here. 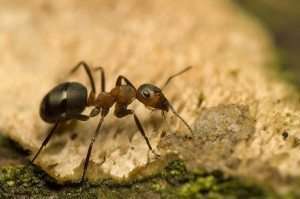 While there are many types of ants, the most common for our state are Pharaoh ants, Formica ants, Pavement ants, and Carpenter ants. With the help of a professional like Advanced Pest Solutions, you can rest assured that these scavengers can be controlled. While there we will identify the type of ant you have and customize a plan that is the most beneficial to you. These ants are tiny red ones that are the biggest nuisance. They prefer kitchens, bathrooms, and anywhere else that is humid and hard to access. 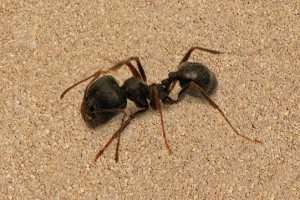 Pharaoh ants are also the hardest to get rid of. They will even split their nest up when disturbed which will create an even bigger infestation. 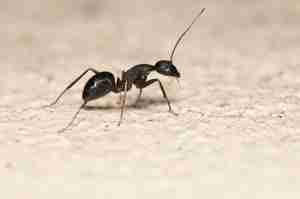 With this type of ant it is best to call Advanced Pest Solutions to take care of the problem. Formica ants are commonly known as wood ants, mound ants, and field ants. They live in wooded areas like lawns, gardens, fields, and parks where there is no shortage of material to build their mounds. Unlike pharaoh ants, wood ants love the sunlight and can’t live for very long without it. These ants usually do not invade homes but will often hunt for food around decks and porches. Formica ants eat honeydew which is from insects like mealybugs. They also eat other insects and are attracted to meat. Like Formica ants, Pavements ants can nest in mulch that is close to foundations, but they prefer to nest in pavement cracks in sidewalks or underneath logs, bricks, blocks, and boards. They will feed on a variety of food including meat, greasy foods, other insects, seeds, and honeydew. If you do have a problem with these ants, sanitation is a big factor in preventing an infestation. Make sure to clean up any food crumbs, clean your garbage and recycling containers, and consistently vacuum and mop. This not only keeps food away from them, but will also destroy the trails they have made. It is best to contact Advanced Pest Solutions for a unique treatment method that will keep them away. Carpenter ants are the large black ants you may see around rotting wood and trees. They love to make tunnels in wood that lead to their nests. These tunnels are what creates structural problems in homes and other buildings by destroying the strength of the wood. Even though they spend their time around wood, they don’t actually eat it. They prefer to eat dead insects and honeydew. If you have found quite a few carpenter ants inside, then there is a good chance that they have made their nest somewhere inside your home. Contact Advanced Pest Solutions for a free inspection to start the process of eliminating them. Most people find spiders inside their home in the spring and fall. 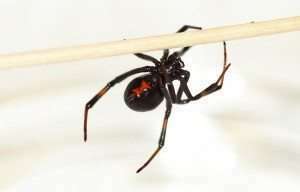 While most of these spiders are not poisonous, there are a few that are; the black widow and the brown recluse. Black widows prefer to be in areas where humans and animals will not disturb them like sheds, garages, woodpiles, and underneath stones. They like to eat anything they can subdue from other small spiders to crickets, roaches, and beetles. These spiders have the strongest venom of all arachnids that live in North America. Call Advanced Pest Solutions today for proper extermination and prevention of these creepy bugs. Like the black widow, the brown recluse prefer places likely to be undisturbed like closets, sheds, garages, and dark corners. They have been known to be found in shoes, stacks of clothes, between sheets, and in dresser drawers. Most human contact occurs when the spider has been disturbed, causing the spider to feel threatened. 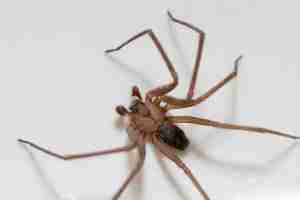 The brown recluse only feeds on other insects and are able to withstand severe droughts and lack of food. 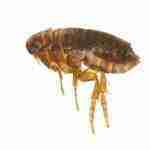 Pet owners at one time or another have experienced fleas. Some have even experienced severe infestations. Since there are different treatments for the different life cycles of the flea, it can be very hard to treat and control them. It is best to contact a professional like Advanced Pest Solutions who knows what combinations will have the best effect. You also need to keep in mind that it can take multiple treatments before they are eliminated. Rodents make up about 40% of the mammal population and can cause great damage around your home from creating nests to the continuous chewing and gnawing on anything from clothing to wood and even electrical wire. They are very challenging to control. They are commonly found living within food sources like restaurants, warehouses, barns, and both rural and urban areas. Rats are leery of new items in their environment like traps and bait so they tend to stay away. They nest in attics, inside walls, and other hard to reach places. Rats can carry and transmit a number of serious diseases. They may even bring other insects into your home like ticks and fleas. Mice invade your home when seeking food, water, and warmth. that is why you might see more of them during the winter months. Mice prefer to eat fruit and grain but have adapted to eat almost any type of food scrap. 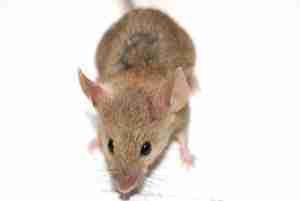 while a mouse is hunting for food, it will contaminate a lot more food than it actually eats. Controlling mice requires several steps and the most important one is sanitation. 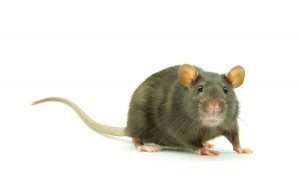 Mice leave urine, feces and other toxic and unsanitary problems wherever they go. Mice will look anywhere for food so it is necessary to keep your maintenance up in your yard and garbage cans secure. It is also a good idea to set mouse traps, this will help reduce the population. Contact Advanced Pest Solutions for a free inspection. After our initial visit, a plan will be created to eliminate and prevent them from coming back.